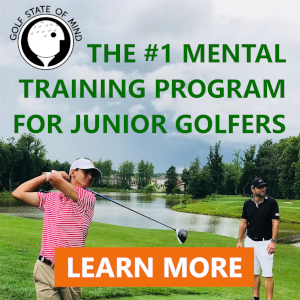 The Canadian Junior Golf Association (CJGA) and Junior Golf Hub (JGH) are pleased to announce a new partnership aimed towards helping their members advance to the next level and play golf in college. The new partnership allows CJGA members to access Junior Golf Hub’s Premium features for 30 days free and gains complete access to robust technology tools and education including The Hub’s Essential Guide to college golf recruiting and the ability to ‘Find and Follow’ U.S. college golf programs. In addition, Junior Golf Hub will introduce its current and prospective members to both the CJGA and their flagship event, the CJGA World Junior Challenge which will be played in Palm Harbor, Florida on December 27th – 30th. CJGA members can claim their 30-day Free Trial to The Hub by logging into their CJGA account and accessing their members-only promo code on the Message Board. Junior Golf Hub members can learn more about the CJGA and the World Junior Challenge event here. Established in 1993, the CJGA was founded to give junior golfers in Canada an opportunity to develop their competitive skills. Its Junior Program offers over 90 tour stops across Canada and includes regional, provincial, and national championships. The elite junior is also able to represent the CJGA and Canada at a number of international events. The CJGA is a not-for-profit “registered Canadian amateur athletic association” (RCAAA) with Revenue Canada. Junior Golf Hub (www.juniorgolfhub.com) is the premier online community for junior golfers on the rise, parents and college coaches seeking top talent. JGH provides robust technology tools and education that help players advance to college golf. The Hub allows Junior Golfers to build a compelling profile than ‘Find’ college golf programs through The Hub’s extensive searchable database and ‘Follow’ programs of interest. College coaches search our database of talent and then ‘Follow’ golfers they are interested in recruiting. In addition, Premium members can access The Hub’s Essential Guide to college golf recruiting which contains clear, step-by-step instructions to playing at the next level. Sign-up for free at www.juniorgolfhub.com and begin your journey today!